Our ‘A Day in the Life’ series highlights alumni in various fields and positions, offering a glimpse of what life after graduation is like. This post comes to us from M&T alumna Lily, currently working within higher education in Indonesia. I work for one of the largest private education groups in Indonesia. We have 25,000 students, six campuses and projecting to reach 50,000 students by 2020. We also have schools. I set up partnerships and collaborative programs between our university and foreign universities. I also advise, help plan, and implement our university and the group’s international growth and marketing strategy, along with related units and departments. I try to get up by 5am to beat the Jakarta traffic jam. I can start working at 7am and leave before 7pm, ideally before 6pm, but it also depends on my external meetings and functions in the evening. Well,we just finished co-hosting the Nottingham Global Network Forum at our university. This is a group of strategic partners of The University of Nottingham which we are privileged to be part of. Alongside that Forum, I moderated an event called “The Global Leadership Forum: Excellence in Higher Education in Globalized World” that brought together very senior academic leaders from top institutions in Asia, UK, and policy makers in Indonesia. Besides, I am coordinating a university quality upgrade review and planning for better international recognition, among other projects. I can interact with all levels of stakeholders in our university from students to the Rector/President. Externally, I interact with all our current partners, potential partners, government representatives and embassies, even industry leaders and representatives. Each day I can hear from people from all kinds of time zones with all kinds of requests and initiatives. I am currently traveling for leisure! But I do travel for work about 20-25% a year. I enjoy multi-level, inter-disciplinary, cross-sector, even mutli-national interactions especially with those who really want to generate exciting ideas and have the will, fervour to make value-adding innovative projects come to fruition. Identifying and leveraging opportunities in this very exciting Higher Ed International landscape, especially ones that shed light on the enormous potential in Indonesia, and help launch our youths to greater height. Then pitching my ideas to all the relevant leaders and to get key decisions and commitment that will move resources to make things happen, while bringing others to learn and grow as we build together. Serendipitously, but also with great curiosity, sincere interest, hopefully humility to learn and confidence to take risks and initiate. In many ways, I created my current role as there was no such office in my organization before me. We all know the future of work life for our youth today will become even less and less defined and rigid. This is very exciting and maybe scary for some. Remain open, remain opportunistic, remain engaged in your environment. M&T and job titles do not define you, but what you learn, retain, communicate and act upon does. 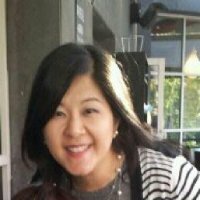 Lily is currently Director of Internationalization at BINUS University in Jakarta, Indonesia. She graduated from Penn and M&T in 1993 with a Bachelor of Science in Systems Science from Penn Engineering and a Bachelor of Science in Economics from the Wharton School with a concentration in accounting. She also holds a Master of Education in Educational Leadership and Administration from Deakin University. In her spare time, Lily enjoys reading, traveling, spending time with family and friends, and plotting the next exciting adventure!